Yesterday’s fall of the EUR/USD currency pair looks much like a correction. However, the price has almost reached the level where the 5th point of reference is formed. When the price reaches the level of 1.3760 one can try to buy the pair with the target in the area of 1.4088, on the basis of eurusd analysis. 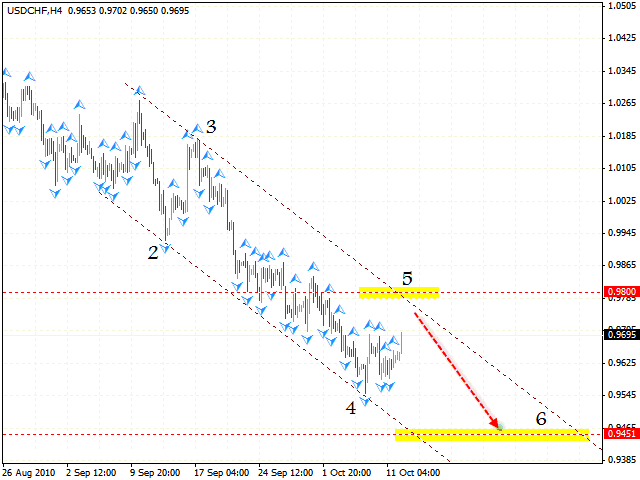 But don’t be surprised if the price falls a little bit lower specified level to test the channel’s lower border. 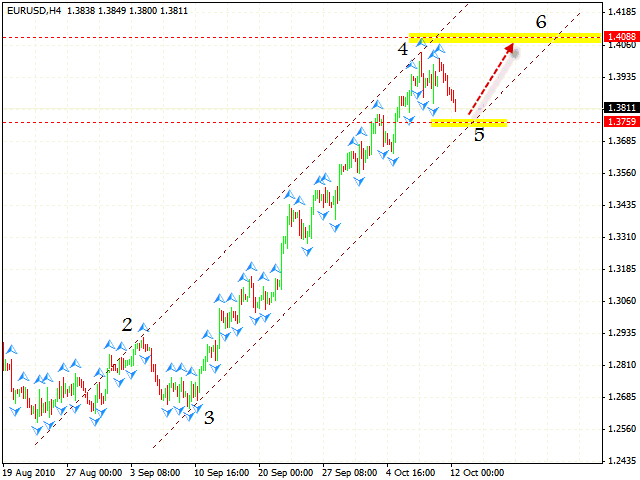 One can also try to buy Pound, but only after the price is pit of the descending channel. 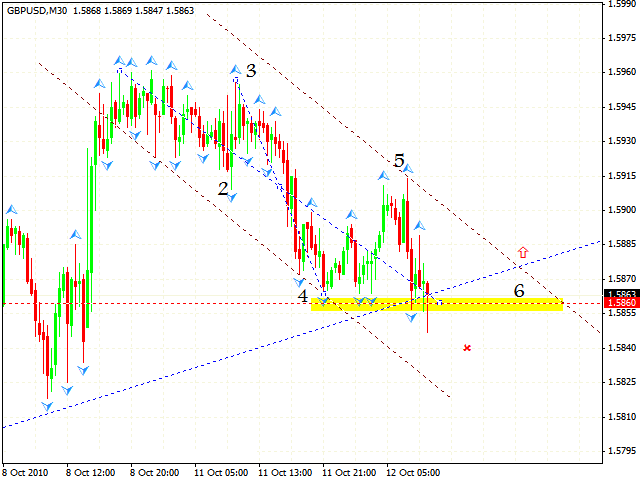 As we can see by gbpusd forecast, the pattern with the target in the area of 1.5860 has been completed. Currently the price is testing the lower side of the rising channel. According to technical analysis usd chf one of the best ways to act is to test the channel’s upper border where we can try to sell the pair with the target in the area of 0.9451.according to the structure of the descending pattern, the level of 0.9800 will be a place where the 5th point of reference is formed. But there is a great probability that the movement will only test the channel’s border and nothing more. 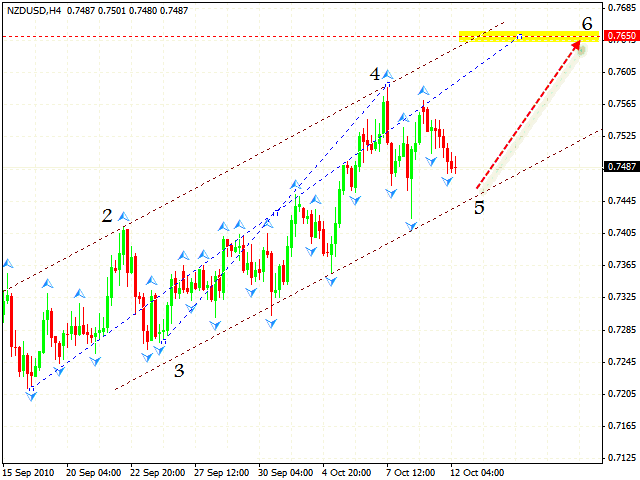 In case of the NZD/USD currency pair the rising pattern with the target in the area of 0.7650 still remains in effect. Judging by analysis nzd usd you can try to buy the pair either starting from the channel’s lower border or when seeing the formation of signs of reverse at shorter periods of time.